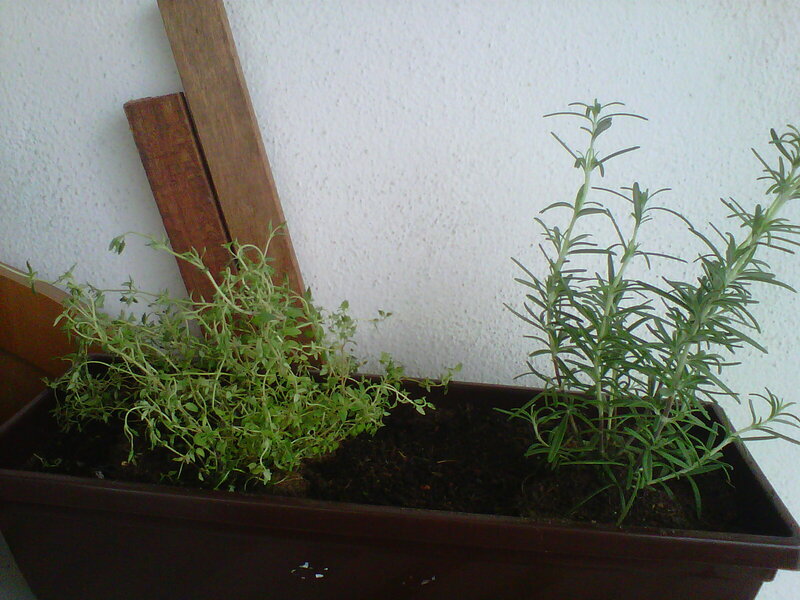 How many times have you bought a packet of fresh herbs from the market and end up only needing half portion of it? When you need to use the balance half, the only thing you find are wilted leaves. I am definitely a victim of this. It is actually quite wasteful but it is not like the supermarket will sell you one stalk of thymes or 10 leaves of basil or one sprig of rosemary. Hence, there’s always left-over. 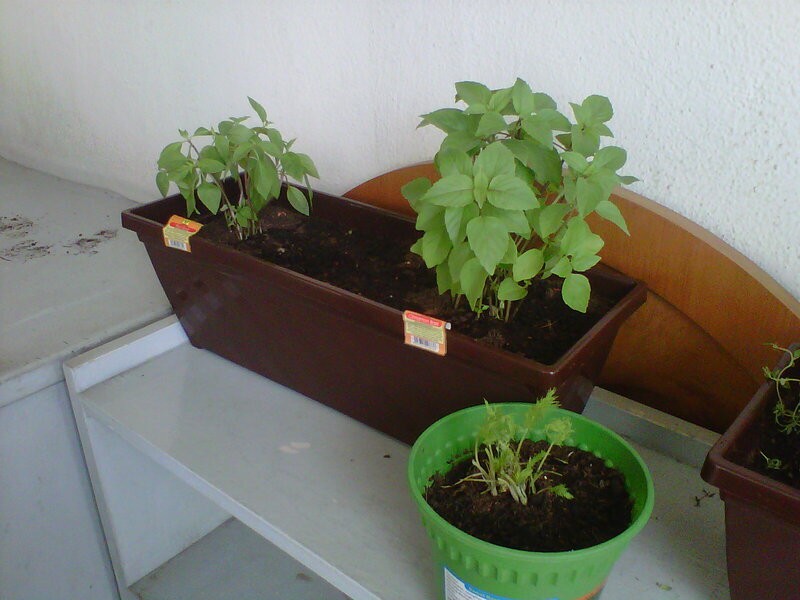 Finally, after like a hundred time throwing away unfinished herbs, I was determine to grow some myself. 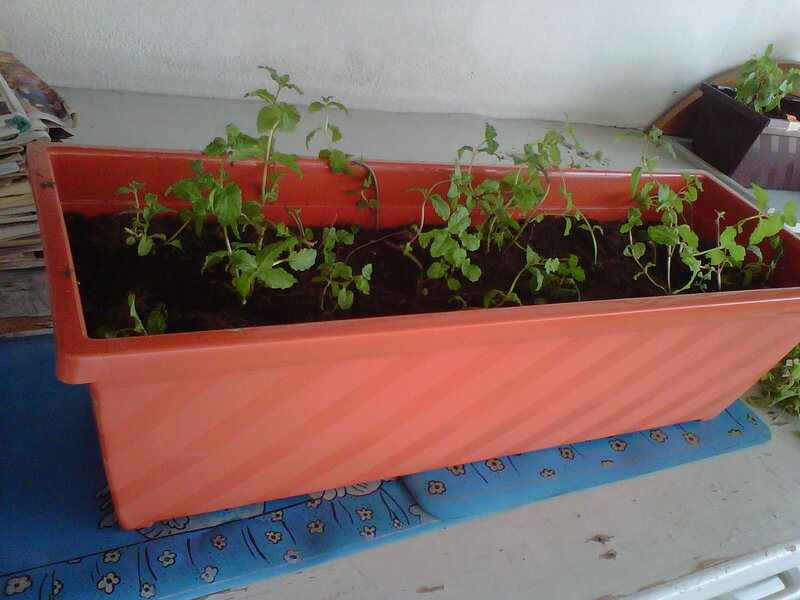 After researching online for some time, it is to NOT my surprise that not many Malaysian ever consider growing our own herbs (especially the western related herbs). So, arm with the little knowledge I got, I went around hunting for any herbs I could land on. 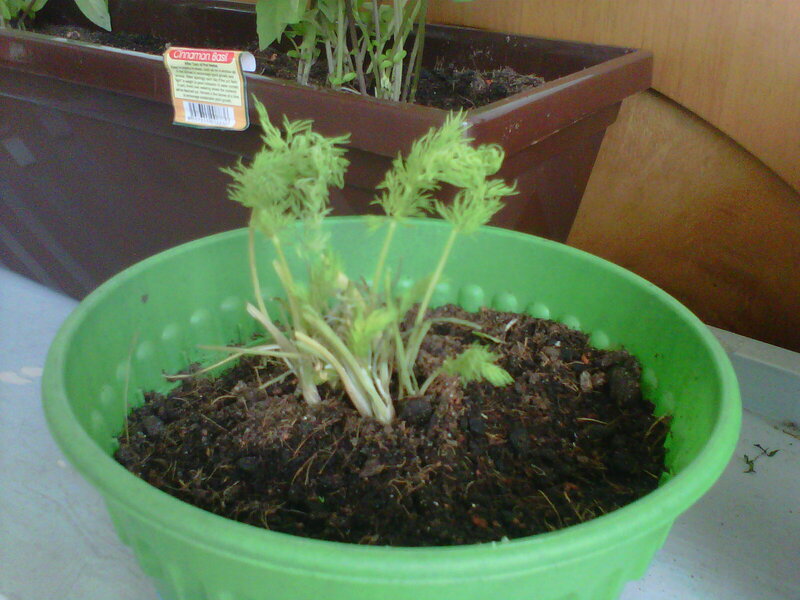 I ended by in a nursery in Sungai Buloh and was amazed by the selection available. It was so exciting. After running up and down the nursery, with one of their nice staff trailing after me to carry any pot of plants I pointed, I ended up with several herbs. Hubs and I had a great afternoon replanting them into bigger pots. We even bought some special soil which the guy explain to us already has the correct ratio of everything. It is supposed to be good for herbs. Oh well – we’ll see.